Have you ever noticed that foreign countries and cultures turn out to be completely different from what you were expecting once you actually see these places for yourself? English writer and philosopher Aldous Huxley once wrote: “To travel is to discover that everyone is wrong about other countries.” Why is that? Well, the media certainly doesn’t help matters. In the movies, common stereotypes include: Russians always being the bad guys, Germans ever cunning, but essentially evil, the French persistently rude and snooty (well, that one may be…), and the Swiss speaking with a thick German accent. Take that last one, for example. Why is that inaccurate? Don’t people from Switzerland speak German? In previous posts we’ve discussed (and have hopefully dispelled) some “travel myths” ranging from how to accurately cross a country off your list (Fiji) to disproving the malicious slander that English food is disgusting (England). 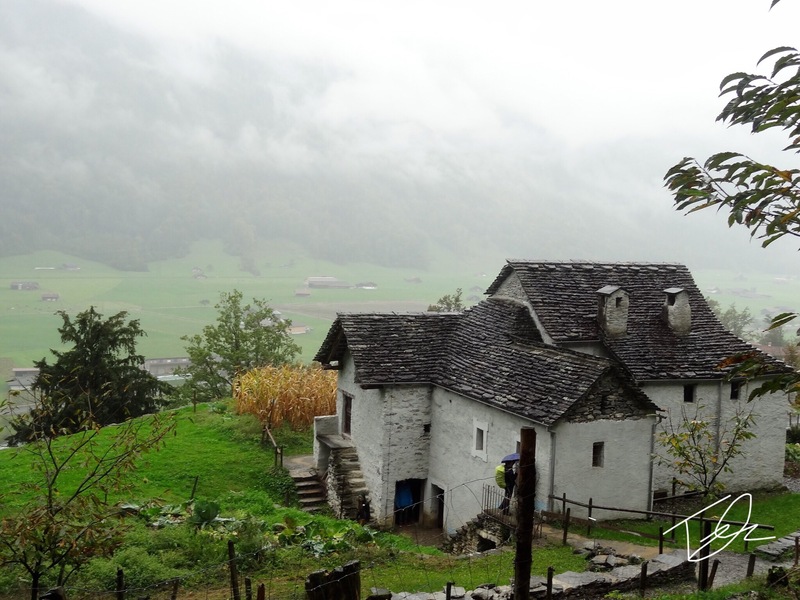 In this post, I’ll be attempting to decode the true nature of that schedule-crazy, dairy-loving, multilingual land known as Switzerland (Or Schweiz, Suisse, Svizzera, Svizra, or for all you lovers of Latin, Confoederatio Helvetica). According to most Americans, Switzerland is good for only four things: army knives, watches, hot chocolate mix, and cheese. But, only a certain kind of cheese. See, if you go to the neighborhood deli and ask for “Swiss Cheese” you’re in for a treat. Out comes a heap of white bitter squares with holes in it. Switzerland is home to around 450 different varieties of cheeses. There’s Gruyère, Raclette, Appenzeller, Schabziger, Sbrinz, Berner Alpkäse, and the list goes on, but they choose that one to name after the entire country?! I have to say, this tasted just a tad better than the pre-sliced deli brand. Then I thought about it, “American Cheese” , supposedly named after the United States, is the most vile, artificially yellow, plastic flavored cheese on the planet. What more can you expect? At least “Swiss Cheese” is actually considered “dairy”. As you can imagine, this cheese ordeal was weighing heavily on my mind. Not long after I touched down in the land of bells and alphorns, I began doing my cheese investigation. “So, do you guys really like “Swiss Cheese”?, I asked my friends. “Which one?”, they asked, “You know, SWISS Cheese”, I said. “We have many cheeses”, they replied. I then tried describing this peculiar cheese: “It’s kind of gross, oh oh and it has holes—”. I couldn’t even finish my sentence before all of their faces contorted in unison as if we had just driven by a waste treatment plant. “Oh, you mean Emmentaler?” they said disgustedly, “we don’t eat that stuff.” Of course, I’m sure that’s not the opinion of the entire Swiss population, but I couldn’t believe my ears! A Swiss person doesn’t like Swiss Cheese? All these years I was treated as unsophisticated and having no taste because I didn’t like Emmentaler. What a relief to no longer be chastised for my choice in cheeses. I realize now, that they put a country’s name on a label to make it seem more appealing, more exotic, and more importantly, worth buying. I can just imagine some Swiss guy opening up a cheese shop when he got to America. All of his cheeses were a hit. Well, except old Emmentaler. With crates and crates of this tasteless holey cheese, what else could he do? “I’ll just say this is our national cheese, those poor saps will be all over it. Just like when I sold all of that yellow cellophane and called it ‘American'”, he said rubbing his hands together with an evil Swiss laugh. There’s one notable side effect to being a budget traveler. You must travel during the off-season for the best deal. Best deal usually equals worst weather, hence almost all of my pictures are slightly gloomy. At least you get the idea. This is Lucerne (Luzern), by the way. This practice is not unique to the U.S., by any means. For example, once I went through a grocery store in Curaçao, in the freezer section. It was lined with various types of pizzas all corresponding to different states in the U.S. I had no idea that “Pickle-and-Sardine” pizza was so popular in Rhode Island. Another view of Lucerne through the Kapellbrücke. Europe’s oldest wooden covered bridge. And because I am American, just about every Belgian wanted me to try this thing. One actually went as far as buying an entire “foot-long” (30cm-long doesn’t have the same ring to it) for me to enjoy all by myself. Thankfully, I had a friend with me at that time who was also from the U.S. who had left the country for the very first time. I could use the “I don’t want you to miss out on the experience. Here you can have mine” line. To my surprise, the whole sandwich was gone in seconds. Although, I still can’t figure out why he insisted on eating right next to that trash bin. Anyway, back to Switzerland. As long as Emmentaler minds his own business, there are countless mouth-watering cheeses to be had. I remember one cheese that was so fresh, it could only be kept for three days after it is made. Meaning, the only way to sample this delicacy is to hop on a plane! Löwendenkmal or Lion Monument. This was to honor the Swiss soldiers killed in the French Revolution. So how does this answer the question about the Swiss accent? Again, in the movies you’ll hear Swiss people speaking with a crisp German accent and they are depicted with blond hair and blue eyes. Also, there is a side myth (one that was mentioned in the Germany post) which is the idea that German is spoken with a lot of phlegm. Both of those are not accurate. While there are people of all types that live in Switzerland, I wouldn’t say it is predominantly blond hair and blue eyed. Besides Germany, Switzerland is nestled between Italy and France as well, making it quite a melting pot. The classic mode of transport in the Alps. The idea that German is spoken with a lot of horking and hacking likely comes from the way Swiss German (which is a dialect, not an accent) is spoken (that’s probably why so much dairy is consumed in this country. It makes it a lot easier to speak the language, if you know what I mean). The ‘ch’ is where you’ll find that distinctive phlegm-filled sound. So to clarify, the ‘ch’ in German sounds like a cat hissing, whereas in Swiss German it sounds like you’re trying to clear your throat after drinking a gallon of half and half. When you hear someone speaking the Swiss dialect for the first time, you’ll have no idea it’s related to its Lederhosen-clad neighbor. Looking down on Wolfenschiessen from the Gondola. To illustrate how different the Swiss German dialect is from High German (the German that is spoken in Germany), if you were to ask someone from Germany if they can understand Swiss German, they will likely say: “Ja, Natürlich” (Yes, of course). In actuality, what they are understanding is someone speaking High German with a Swiss accent. It’s like saying you understand French, when really all you can understand is someone speaking English in a French accent. So if the accent alone sounds like a different language, you can imagine how much the actual dialect differs. As long as I haven’t totally confused you, let’s move on. On the other hand, if I have totally confused you, we’re still moving on. Staying in a cabin up in the Alps during a snow storm registered a 10.0 on the cozy scale. It was almost devastatingly cozy. Interestingly, because of its aforementioned neighbors, Switzerland is divided into German, Italian, and French regions (most of my time was spent in the German part). This gives you some variety. For example, if you’re interested in France, it’s culture, architecture, or cuisine, then Geneva or Lausanne might be a good idea to visit. Or, if you’re fascinated by Italy, then be sure not to pass up Lugano. Nothing quite like seeing palm trees beside the Alps. For me, at the time I was intrigued with all things German (which makes up most of Switzerland). If you fly into the Zürich airport, you’ll be greeted by the (recorded) sound of cow bells and mooing as you board the airport tram, truly setting the stage for this amazing place that somehow takes you back in time while remaining completely modern. As a side note, you will notice on the license plates the letters “CH”, and no I’m not still talking about phlegm. This is the country name’s official abbreviation. Makes sense since it’s spelled Chaswitzerland. Wait what? Ok, I know you’re probably wondering how I could waste my time napping in such a beautiful place. To which I propose a better question: How can you not? You try staying awake when you’re in a cozy cocoon next to a wood stove being force-fed hot chocolate. It’s just not happening. Really, your entire vacation could be consumed by this mini-Europe. It truly is a unique combination borrowing the prompt, clean, orderly nature of the Germans, the amazing cooking skills of the French, and the fantastic coffee and architecture of the Italians. In neighboring Austria, I remember once being delayed over an hour traveling by train. This is in stark contrast to Switzerland where the trains show up right on the dot. Some even had countdown timers posted that would tell you when the next train was to arrive, right down to the second! Once on board, you’ll feel like you’re on a mobile library. If you were to close your eyes, you honestly wouldn’t know when the train started moving or when it stopped. A far cry from “The Dreadful Spanish Train Incident“. The only bad thing about traveling in a library is that you find yourself constantly looking over your shoulder. Waiting for some lady with bad breath and reading glasses hanging around her neck to scold you, sternly whispering that your “Captain Super Person” Volume 12 comic is 3 years overdue. It was one time, alright?! I really felt like we had something here. They still email me once in a while, but I don’t understand their dialect. Once, I stayed with some friends that had a farm on a mountain side above the village of Wolfenschiessen. Perhaps the most interesting feature of this alpine farm was the miniature cattle that was being raised there. Why would you want mini moo cows, you say? Two reasons: First, since they’re on a mountain side, they need a lower center of gravity so that they don’t lose their balance. Second, the only way to get to this lofty estate is by cable car, so they need to be “travel size”. You could possibly add a third. It sends their adorable factor through the roof. I was afraid that one of those nights we were going to have sliders (you know, those mini hamburgers) for dinner, thankfully we stuck to fondue. On the subject of food, if you ever have the chance, try Raclette. It’s more of a social event than a dinner, but that’s what makes it so enjoyable. A bunch of friends gather around a table top grill, each equipped with a mini pan and a table full of ingredients. First, you mash a small potato into your tiny skillet and place a thick slab of Raclette cheese on top. After that, you’re free to concoct whatever combination comes to your mind. You’ll generally find bacon, pickles, pineapple, garlic, and a host of other weird ingredients that melt together into little potato patties of heaven. It does take a long time to cook, so that’s where the socializing comes in. Stories, laughter, and the smell of cheese fills the air. That is, until the smoke detector goes off, the sprinklers turn on, and everyone runs frantically outside screaming and crying until the fire department shows up. Come to think of it, it may be a better idea to do this outside. As always I’d encourage you to draw your own conclusions about different lands. Just as I said that others are wrong about other countries, I too have my own views. Who knows maybe you’ll stay with some Swiss friends who raise gigantic cattle and eat Emmentaler (Swiss Cheese) by the truckload. Maybe the trains will be on time in Austria and late while you’re in Switzerland. You might even find Raclette to be inedible. The point is: Everyone is wrong about other countries. Each traveler picks up on things they like (and sometimes exaggerates to make them seem better) or things they dislike (possibly blowing them out of proportion to make them sound worse than they really are). What? Don’t you look at me in that tone of voice! I can’t believe how much you hated to write anything while you were in school….what in the world happened to you? Oh….that’s right…you got to travel the world and actually found things to write ABOUT!! Thx for putting pen to paper after all…oops…I mean fingers to keyboard Love the Swiss Cheese stuff! You know how much I love the baby cows!!! Super adorable! The cheese talk made me think of how I need to get our Raclette kit out again! Great post! I’m really enjoying reading about your travels. Hope you’re having a wonderful time on your new adventure. It’s so exciting. Just a thought, but I, and maybe others, too, would be interested in knowing when you made these trips and how long you stayed in each country. ??? Preference, Swiss or Belgium chocolate? I think I might know the answer, ha! By the way: I love your photography! Beautiful job! 1. Was Lucerne originally on your itinerary or did you add it at my request? I absolutely (((love))) your pictures of Lucerne! 1 day I will shop that street near that bridge & see that Lion monument myself. Can’t believe you went! How incredible. Probably expensive? do all blue people like blue cheese? So rather than saying everyone is wrong about other countries couldn’t I just say everyone is wrong about everything all the time?